This doesn’t sound like a very outlandish idea, but sadly, with little or non-existent resources, applying noble causes like theirs in the real world are distant dreams. The re-introduction of great time-tested concepts for shaping great cities would certainly be exceptional but that such a project would get support by e.g. getting allocated a piece of land somewhere, would truly be unprecedented. And by supporter I refer to local governments and authorities, developers, and established construction companies. This is because a significant but largely ignored issue affecting Finnish city development is a lack of innovation and vision within the building and construction industry. I’ve already illustrated this in my blog post “Urban Helsinki Versus the Building and Construction Industry” by showing how a project site gets turned into a row of monotonous and repetitive apartment buildings despite promises for “something unique”. What I essentially wanted to point out is that when the development of an entire project area is given to just one company, the result is always very monotonous due to old habits and values, greed, and a non-existent passion for creating better cities. The art of single-site repetition in Vantaa displayed by Lemminkäinen. This time I want to take this topic further by illustrating that monotony and excessive standardization are not only issues of concern affecting single projects, but characteristics that pertain to the processes and products of the entire industry or business sector. Truthfully, and depressingly, it really doesn’t matter who is developing land and which construction company any particular project is awarded to because the result is likely to look the same anyways. Based on everything built in the country in the past decades, there seems to be a cultural agreement of some sorts among public and private land developers that this is OK. Even if local governments every now and then demand for something fresh, being serious about making better cities definitely hasn’t been high on anyone’s agenda. According to critics, this situation stems from heavy concentration processes in the building and construction industry which have led to a state of oligopoly that stifles competition. Christer Bengs has for example noted that Finland’s building and construction industry was the second most concentrated in the OECD countries already in the 1980s – right behind Sweden. And as we know from experience, monopolies in any field of the economy are conventionally associated with higher prices and a lack of innovation. Also, we can’t just look at the builders because public policies in lot distribution that entail large-scale development projects have significantly contributed to the level of concentration. This is because big projects are too large for small and medium-sized entrepreneurs to compete for. Have you noticed how we always discuss about developing areas and never blocks or buildings? Going large is the default scale nowadays. To take these accusations to their real-life context, I randomly chose recent residential projects in the Helsinki region from all of the major construction companies operating in the country and went to photograph them to highlight the extent of sameness our culture of construction is trimmed to produce. NCC, Peab and Skanska featured in the comparison are actually Swedish actors, but based on their results here, the companies’ Finnish branches have accustomed into our system all too well. As the pictures clearly tell, none of the projects exactly stand out and they all repeat the same functionalist apartment building design that e.g. tries to avoid opening up to the street. Only SRV’s project in Vallila has a laudable street connection on one side of the block. In some of the other cases zoning ordinances apparently have called for street integration as the buildings are physically connected to the street without setbacks, but the builders have responded to those pleas with blank walls facing the street. Generally there are two types of exteriors: with or without a brick-y look. But when you compare projects within those two groups with each other, it becomes very difficult to tell which one was which. Peab’s innovation to try and stand out is to paint the other side of all of their three buildings with a different color. Anyhow, regardless of the primary color or texture of the exteriors, most building elements starting from doors and balconies to yard lighting and other details are clearly shopped from the same hardware store. The devil is not only in the general designs, but also very much in the details. Take the elements that resemble steel girders (I obviously have no technical expertise in building) that are applied across the buildings in different sizes and contexts as an example (see pictures below). The only construction company that didn’t have them installed someplace was Lujatalo. They probably didn’t get the memo. This monotony our construction sector produces is astounding as such, but compared against contemporary global city development and housing drivers, it’s even more astounding. The building and construction industry stakeholders might not have noticed, but the world has changed since the 1960s when their philosophy for urban development was in vogue. Economic structural changes have since taken us from the industrial economy towards a service-based one. The ways how people live, work, consume, use and value urban space have likewise shifted. Sharon Zukin for example has already a long time ago insightfully described through case studies how these societal changes from a work-oriented culture towards an experience and lifestyle-oriented culture of consumption affect urban life in cities. The key message Zukin and others have put forward is that in the new economy, culture has actively been used as a strategic asset in urban development for some time now when cities compete for people, investment and jobs. The other side of the same coin is obviously what for example Richard Florida has told us for a decade now: the “quality of a place” has become an important locational preference for us newer generations. So what qualities do we want exactly? For one, options. I find that the Finnish city development sector is perhaps the last fortress in the Western world that hasn’t effectively realized that unity and standardization have been traded for diversity ages ago. Societies are increasingly characterized by fragmented lifestyle divisions and cities have respectively also transformed into multi-nodal and multi-faceted entities spatially. Attracting the creative class Lemminkäinen-style. Just this week, I came across an article by Skyscanner that listed “The 20 most hipster neighbourhoods in the world” – mostly because Helsinki’s Kallio got listed in it. The contents of the article are irrelevant, but it very clearly underscores the way we see and understand cities today. Articles like this are very common now globally (and also potential pathways to different kinds of monotonies), but here in Finland we typically still rate and compare areas and neighborhoods by only looking at real estate prices or residents’ incomes and ignoring qualitative factors. Beside societal fragmentation, academics and city developers around the Western world have noted that there are some megatrends that affect (or as in this case, should affect) 21st-century housing and urban development across the board. Modern day development concepts namely distance themselves and scale down from the resource-wasting 20th-century suburban living environments that revolve around the idea and needs of the nuclear family and steady nine-to-five jobs and instead cater for communities made increasingly up of single-parents, childless couples, singles, elderly citizens, and different cultural backgrounds. As most of us don’t work in factories anymore but in the service sector and knowledge-based industries, we also value environments that are connected because face-to-face interaction remains vital despite the explosion of telecommunication technologies. Moreover, as we no longer spend all of our free time with the family, we want places where we can meet each other in public. In sum, for an increasingly bigger bunch of us this suggests that we are nowadays better off in human habitats with an urban character that enable us to set up and sustain private and professional networks to our liking more adequately. Not so much in the Finnish neighborhood unit model our building and construction industry is geared and prepared to recreate irrespective of the context. A new idea has been to add windows to hallways and storage rooms that open up to the street. So that as if the building was in dialogue with the street. I wonder what’s next? Robots walking up and down the street? Also, take a moment to memorize the canopy. You’ll be surprised how often you’ll come across it in this or a slightly altered version in new building designs. By looking at how our cities in Finland are (still) being built today, it just strikes me that none of the big developers and construction companies seem to grasp the enormous potential in doing something different, fresh, and offering diverse high-quality products for the urban context. Market leadership would be granted. It also astonishes me that nearly not enough effort is put into giving opportunities for small and medium-sized players to show what they could do. To me it sounds like they have the best ideas for making better cities. I do understand that rapidly growing cities like Helsinki are preoccupied with trying to find solutions for alleviating their pressing housing stock shortage, but focusing on quantity over quality is nonetheless short-sighted. And as we can see, the big players have run out of good ideas decades ago. So far I only know of one initiative that aims at changing the game in Finnish housing development. The city of Helsinki has recently begun to support group-building (baugemeinschaften or private building cooperatives) efforts, which essentially translates as people forming groups and building apartment buildings or other housing projects for themselves. The authorities have incorporated group building into the city’s housing policy palette to explicitly intervene with the current lack of innovation: “The support to group-building is targeted to diversify the construction domain”. This is the kind of attitude we need. And to take it up a notch. Or five. Bengs, C. (2012). Globaali kilpailu, markkinat ja paikallistalous. In Hynynen, A. (ed.). Takaisin kartalle. Suomalainen seutukaupunki, pp. 51-60. Kuntaliitto/Association of Finnish Local and Regional Authorities. Helsingin kaupunki (2012). Kotikaupunkina Helsinki. Asumisen ja siihen liittyvän maankäytön toteutusohjelma 2012. Helsingin kaupungin keskushallinnon julkaisuja 2012:21. 93 p. Helsingin kaupungin talous- ja suunnittelukeskus. Nice text Timo and into the point! PS. The link to “The 20 most hipster neighbourhoods in the world” didn’t work though it seems correct. Thanks Eetu! The link works fine for me, but please let me know if this is a persistent problem and I’ll try to do something about it. Well… the link didn’t work for me either. Found it using google though. PS. Nice blog and well presented opinions! Thanks Joel! I tried to fix it, hope the link now works on your browser as well. An additional viewpoint is how reluctant developers are to work with new concepts, although they would be highly popular among consumers. 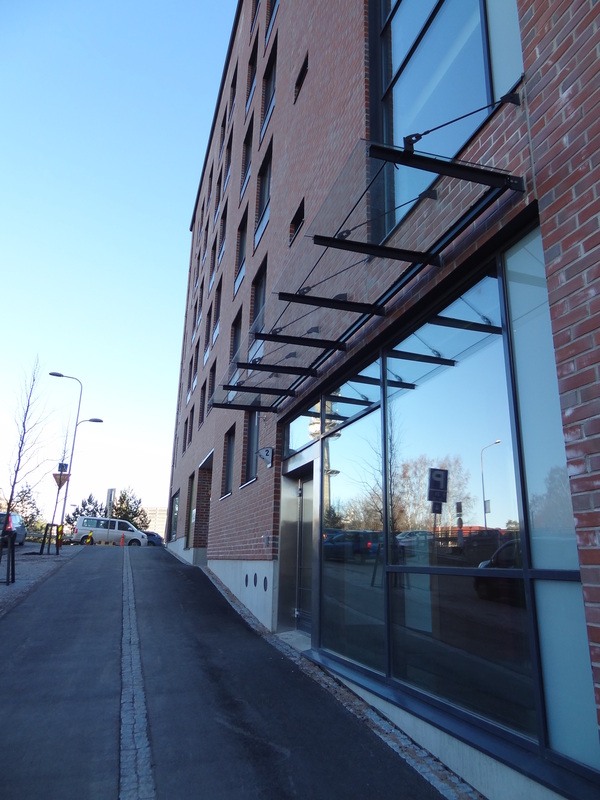 The case in point was new lofts (uusloftit) in Arabianranta. Check out the research by Markus Laine and Ari Niska. Unfortunately these are only in Finnish (I guess) and I did not find (fast at least) their ex-post (afterwards) evaluation about the process. Why they are not? In this case because non-finished flats means less profit for them. One constructed building was sold-out immediately, but none followed. Yes, it’s amazing. I’m not an expert in the real estate business, but even common sense would push for introducing and testing with new concepts. Just as in any field of the economy. So the system is broken. How do you see the city zoning’s role in all this? In new developments city planning authorities give quite strict guidelines on how to build, years ahead construction works. Thanks for your comment! 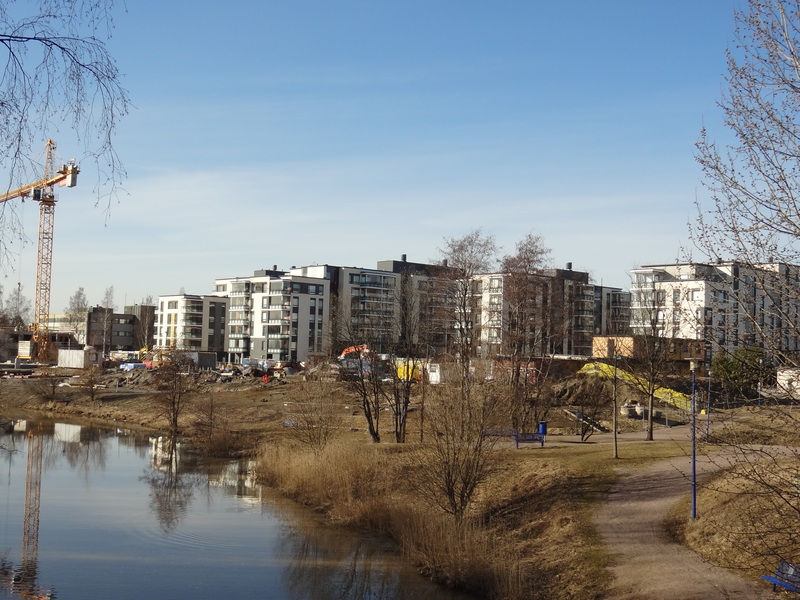 One thing I think the city (any city in Finland) does wrong is to hand over the development of a site to one single construction company (or developer). That ensures that only one singular exact same building design will be used for the entire area. The city has the power to draft zoning ordinances, but I’m not really convinced that they work too well. Either the city gives in to the builders or doesn’t know how to use their power sufficiently. All in all, I find that the problem is in the values and attitudes of the entire profession. I’m sure that there are players willing to do something different if none of the local ones are interested. The Finnish regulation system has in many ways lost its’ way. A good example being Hartwall Arena, where the application for the hockey site was made with a rather interesting, good architectural design as a bases for the construction permit. The city accepted the application, and hey presto, we got a cheap, ugly corrugated iron cylinder, where there is nothing of the original plan. Harkimo succeeded in passing a special alteration permit for the construction itself. Strange are the ways that politicians and businessmen in Finland have their hands in each others’ pockets. The same happens every single time, a construction company applies for a permit; the presented work, often signed by a reputable architect or firm will never be finalized as the original drawings have stipulated. And this seems to be the accepted course of action. Hail the ugliest design city in history! The funny aspect to all this is that this cannot be called corruption. But maybe we are allowed to call it total alienation of decency and good taste. I hear you. It is very difficult to understand why this is always tolerated. A friend of mine works as a construction worker and countless are the times when he’s told me about these incidents when the original design – be it external or internal – gets altered due to financial reasons. It’s just so sad. 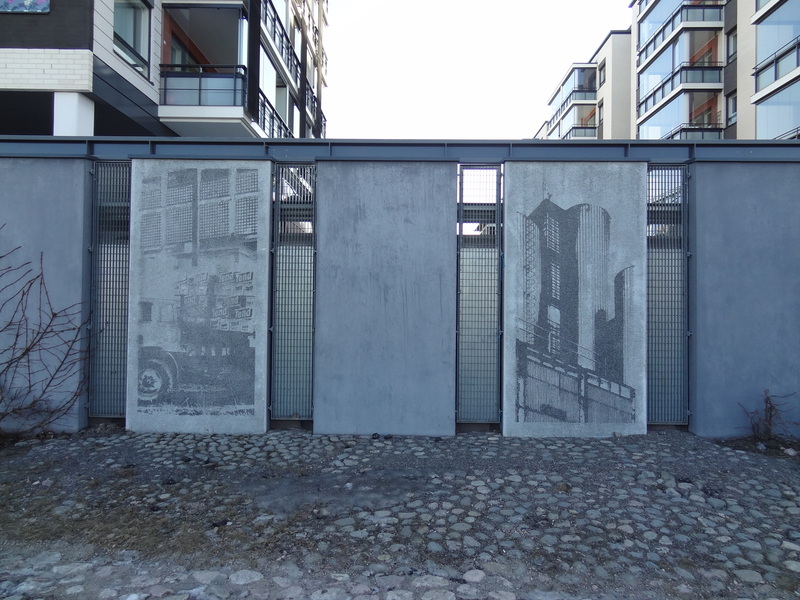 Hi, I agree that contemporary buildings in Helsinki could be more context specific and individual – and street as a social space is not well understood. Be it Eiranranta or Myllypuro, buildings look alike. On the other hand, uniformity of the built environment is a natural phenomenon and not all bad per se. Think of London townhouses that create the character of the city. Building types and morphological solutions tend to be copied and spread to form morphological regions typical of their location and time: that is also what creates the uniqueness of cities. Although regional uniqueness is sadly making way for global monotony. Thanks for your comment Ilkka! You’re right, buildings from different eras and regions of course differ from each other. And many great neighborhoods in Helsinki and elsewhere in Finland are built using similar building designs. My concern is that we are now stuck in a uniformity that is no longer style-related but the result of an invisible conveyor belt that is trimmed to produce sameness to the last detail. And an even greater concern is that nobody really seems to care at all.